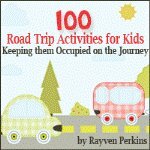 This State Parks in Georgia and National Parks in Georgia list is designed to help you get the most out of your family camping vacations. Find what you're looking for in the Peach State. If you and your family have Georgia on your mind, be sure to set aside time to take in some of the natural and historical wonders of this state. There are many national parks in Georgia that are brimming with history, as well as a great selection of state parks in Georgia that offer peace and relaxation away from the open road for family camping vacations. If you're interested in visiting state parks in Georgia, stop by Black Rock Mountain State park, which has numerous campsites and cottages for visitors who wish to stay overnight. 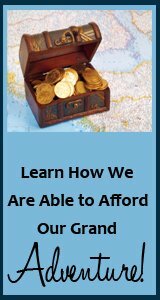 During the daylight hours, relax and enjoy the adventure of treasure hunting with geocaching. The Chief Vann House Historic Site is a state park in Chatsworth, Georgia where visitors can tour the plantation that once belonged to James Vann, a Cherokee chief and businessman. F.D. Roosevelt State Park is a nature lover's dream destination among state parks in Georgia. This area was once home to President Roosevelt while he recovered from polio, and many buildings from this era still remain standing in the park. Today, this park boasts plenty of campsites for the adventurous traveler. The Etowah Indian Mounds Historic Site in Catersville, Georgia, is a fantastic part of the state parks in Georgia, and a great place to get up close and personal with the historic burial mounds and archaeological artifacts that were once part of the daily life of the Native Americans who once lived in this area. 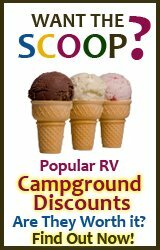 There is a museum on site that offers additional exhibitions from the area while on your family camping vacations. General Coffee State Park is a state park that is home to many varieties of Georgia wildlife, including the indigo snake. Kids will enjoy exploring the Heritage Farm exhibit, where they can view cabins, live animals, and other exhibits related to historic agricultural life in Georgia. If you're searching for state parks in Georgia with the feel of a resort while on your family camping vacations, look no further than George T. Bagby State Park and Lodge in Fort Gaines. This 700 acre preserve offers something for everyone, including golf, a swimming beach, fishing, boating, and hiking, along with tennis, volleyball and swimming facilities. The Georgia Veterans State Park spans more than 1,300 acres and features trails for walking, and boat rentals for fishing. The park is also home to a golf course and a museum featuring a memorial for veterans of the US armed forces. Don't miss an opportunity to take a ride on the SAM Shortline Excursion Train that provides further opportunities to explore the interior of the park. Magnolia Springs State Park is a park that echoes with the memory of Camp Lawton, a Civil War prison camp that once housed 10,000 prisoners. Visitors will enjoy exploring the camp's grounds to get a better view of the fresh springs on the grounds. In addition, kids will enjoy touring the park's freshwater aquarium. Red Top Mountain State Park is a destination for travelers looking for state parks in Georgia that offer plenty of water activities. Because this park is situated near Lake Allatoona, this park offers water activities. In addition, the park is also home to a cabin from the 1860's, as well as hiking and biking trails, and plenty of campsite locations. Traveler's Rest Historic Site is a Georgia state park that was once a plantation where owned by a wealthy settler in the area. So many travelers stopped here on their way to other portions of Georgia that the owner added on to the home and it became something a bed and breakfast. Today, visitors can take tours of this historic home. Andersonville National Historic site was once the location of Camp Sumpter, a Confederate prison camp during the Civil War. Now, Andersonville is a commemorative museum site that commemorates all the American prisoners of war that have endured in the wars fought by our country. The Appalachian National Scenic Trail holds a distinction among national parks in Georgia because it is actually part of a trail that passes through 14 states, from Maine to Georgia. This trail was designed and constructed by citizen volunteers and has been open since 1937. At the Chattahoochee River National Recreation Area, visitors can go boating or fishing, take float trips, or hike riverside trails and enjoy picnic facilities. Kids will learn more from this experience by participating in the park's Junior Rangers program during your family camping vacations. Fort Frederica on St. Simons Island was once the site of military action between Spain and Britain in the 1700's. After this location became part of the chain of national parks in Georgia, archaeological excavations here have revealed lots of information about early colonial life in the area. The Fort Pulaski National monument withstood intense military action during in the early days of the Civil War. Today, this museum and historical site offers tours and reenactments in order to help visitors get a feel for what the real battles felt like. This park is also home to the Cockspur Island Lighthouse, a historical lighthouse on the Savannah River. The Jimmy Carter National Historic site is one of the national parks in Georgia where visitors can go to learn more about the historic figure. This ark was once the home of President Jimmy Carter and offers lots of fun activities for kids, including demonstrations of farm life during the 1930's. 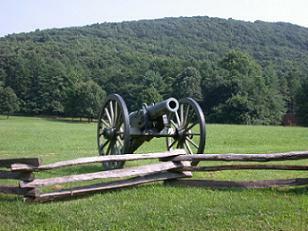 Kennesaw Mountain Battlefield Park preserves the site of an 1864 battle during the Atlanta Campaign. 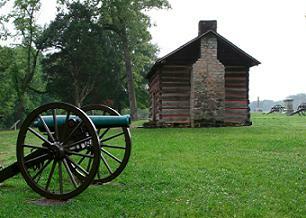 Today, this park is home to various reenactments, as well as actual relics from the battlefield. Another of the national parks in Georgia devoted to the memory of a historic figure is the Martin Luther King, Jr. Historic District, a site that commemorates the Atlanta home where the civil rights leader was born, as well as other buildings from his childhood neighborhood. At Ocmulgee National Monument, visitors can learn more about Native American settlers in the Southeastern United States. This cultural resource center maintains a timeline of Native history starting in the Paleo Indian Period until present times. This park also holds free children's workshops in the summer months. The Chickamauga and Chattanooga Military Park is another of the national parks in Georgia that pays tribute to the soldiers who lost their lives during a battle in this location. This park preserves battle field sites from 1863.